Frederick Emmart Hood (May 5, 1927 — June 28, 2013) was an American yachtsman and Naval architect. He started the company Hood Sailmakers in Marblehead, Massachusetts which makes sails. He won the America's Cup in 1974 skippering the yacht Courageous, which built at Minnefords Shipyard in City Island, New York, after which he built a faster yacht and sold Courageous to Ted Turner, who beat him in it on his way to winning the 1977 America's Cup. He built the Ted Hood Marine Complex in Portsmouth, Rhode Island in 1985, where he opened Little Harbor Marine. His full service marina provided his customers with repairs for their yachts. 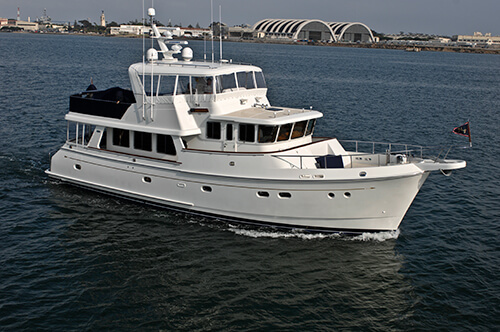 Construction operations of Little Harbor Yachts were moved to Northern Taiwan. This operation began to design power boats exclusively due to changes in the boating market in the 1990s. In 1999 his company was sold to Hinckley Yachts. 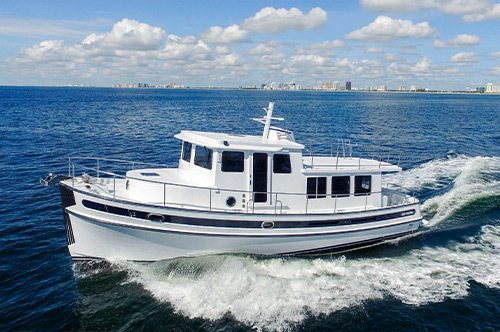 Ted then started another independent yacht design company, Ted Hood Yachts, LLC, located in the Hinckley Yachts complex of the Melville Marina in Portsmouth, Rhode Island. 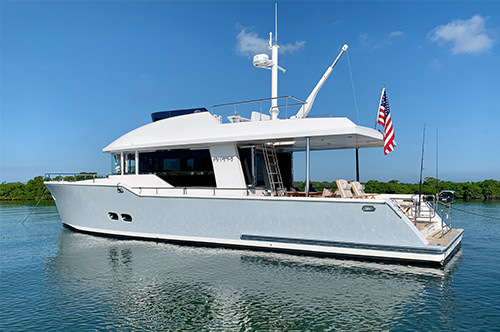 Ted Hood Yachts has eight power yacht designs, including two Coastal Explorers and six Expedition series yachts, as well as two motor sailor designs on the market all with ocean-going capabilities. 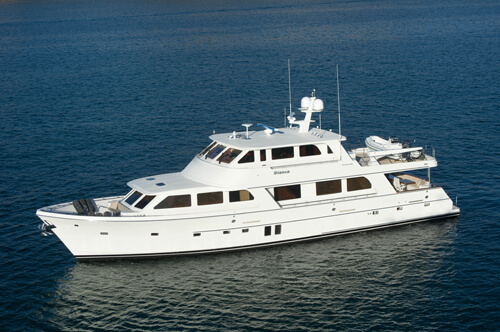 All of Ted Hood's yachts are currently under production in Xiamen, China. Ted was inducted into the America's Cup Hall of Fame in 1993.